The cradle is designed for babies below the 6th month of life. 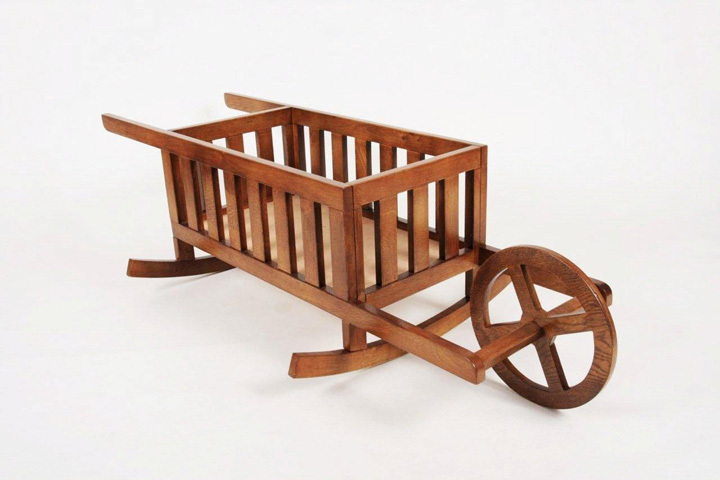 It is a hybrid which incorporates “wheelbarrow philosophy.” Thanks to this, the cradle is more mobile and makes changing the position of the lulled baby easier, which additionally helps the little offspring to submerge in sleep. On the other hand, the “Wheelocradle” is a decorative wheelbarrow, which until now has not served any purpose but for an absurd flower pot! It has now got a new job as a baby cradle.